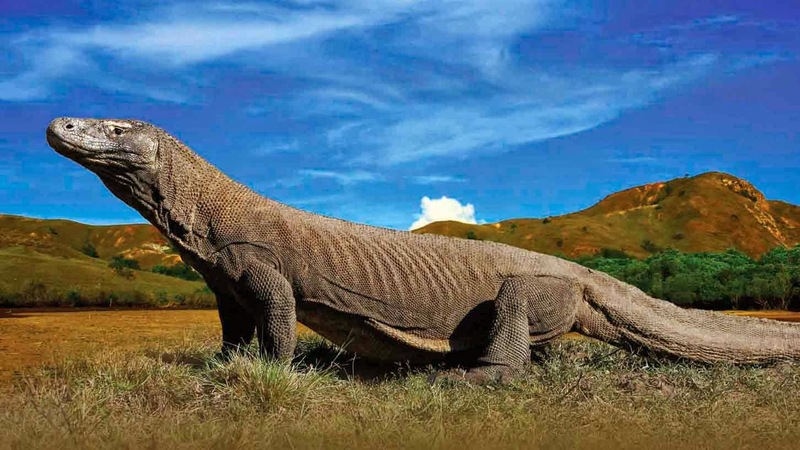 Komodo dragons are the largest living lizards in the world. They are identified by their massive size, flat heads, bowed legs and long, thick tails. 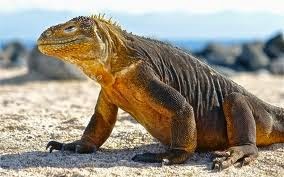 The average size of a male Komodo dragon is 8 to 9 feet and about 200 lbs. Females grow to 6 feet (1.8 m). Komodos come in a variety of colors, including blue, orange, green and gray. 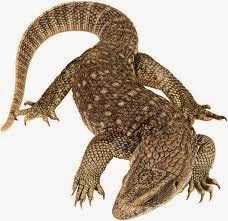 Their skin is rough and durable, reinforced with bony plates called osteoderms. They have long claws and a large, muscular tail. Komodos have good vision; they can see objects as far away as 985 feet (300 m), according to the Smithsonian Zoo. They are also speedy. They can run briefly up to 13 mph (20 kph) but prefer to hunt by stealth — waiting for hours until prey cross their path. Their sense of smell is their primary food detector, however. 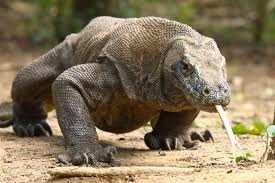 Komodo dragons, like snakes, use their forked tongues to sample the air, and then touch the tongue to the roof of their mouth, where special organs analyze the airborne molecules. If the left tongue tip has more concentrated "smell," the dragon knows that their prey is approaching from the left. 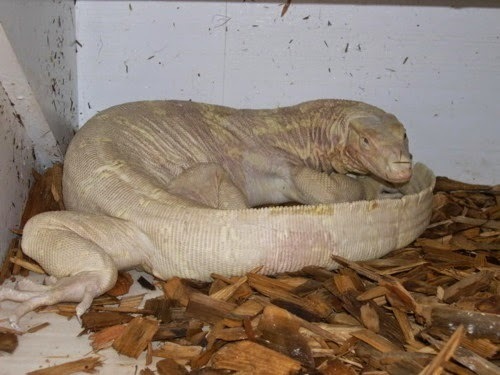 Komodos have dual-purpose homes. To stay warm at night, they make or find burrows to nestle down in. During the day the same burrow keeps them cool. 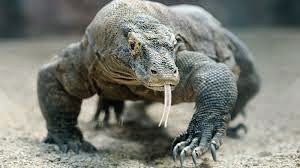 Komodo dragons are carnivores, meaning they eat meat. They are such fierce hunters they can eat very large prey, such as large water buffalo, deer, carrion, pigs and even humans. They will also eat smaller dragons. They can eat 80 percent of their body weight in one feeding. Komodo dragons can reproduce through both sexual and asexual reproduction.